What is the cheapest way to get from Aberystwyth to Synod Inn? The cheapest way to get from Aberystwyth to Synod Inn is to bus which costs £3 - £5 and takes 1h 8m. What is the fastest way to get from Aberystwyth to Synod Inn? The quickest way to get from Aberystwyth to Synod Inn is to taxi which costs £60 - £80 and takes 32m. Is there a direct bus between Aberystwyth and Synod Inn? Yes, there is a direct bus departing from Aberystwyth, Bus Station Stand 7 station and arriving at Synod Inn. Services depart hourly, and operate Monday to Saturday. The journey takes approximately 1h 8m. How far is it from Aberystwyth to Synod Inn? The distance between Aberystwyth and Synod Inn is 20 miles. The road distance is 23.2 miles. How do I travel from Aberystwyth to Synod Inn without a car? 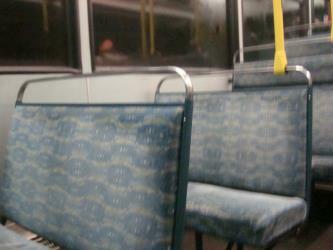 The best way to get from Aberystwyth to Synod Inn without a car is to bus which takes 1h 8m and costs £3 - £5. How long does it take to get from Aberystwyth to Synod Inn? The bus from Aberystwyth, Bus Station Stand 7 to Synod Inn takes 1h 8m including transfers and departs hourly. Where do I catch the Aberystwyth to Synod Inn bus from? 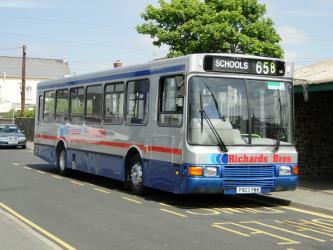 Aberystwyth to Synod Inn bus services, operated by Richards Bros, arrive at Aberystwyth, Bus Station Stand 7. Where does the Aberystwyth to Synod Inn bus arrive? Aberystwyth to Synod Inn bus services, operated by Richards Bros, arrive at Synod Inn station. Can I drive from Aberystwyth to Synod Inn? Yes, the driving distance between Aberystwyth to Synod Inn is 23 miles. It takes approximately 32m to drive from Aberystwyth to Synod Inn. Where can I stay near Synod Inn? There are 495+ hotels available in Synod Inn. Prices start at £51 per night. What companies run services between Aberystwyth, Wales and Synod Inn, Wales? 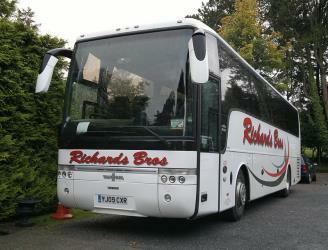 Richards Bros operates a bus from Aberystwyth to Synod Inn hourly. Tickets cost £3 - £5 and the journey takes 1h 8m. Discover how to get to attractions and hotels near Llanarth. Llanerchaeron, pronunciation known as "Llanayron House" to its nineteenth-century occupants, is a grade I listed mansion on the River Aeron, designed and built in 1795 by John Nash for Major (later Colonel) William Lewis as a model, self-sufficient farm complex located near Ciliau Aeron, some 2½ miles south-east of Aberaeron, Ceredigion, Wales. There is evidence that the house replaced an earlier mansion. A later owner, William Lewes was the husband of Colonel Lewis's inheriting daughter. The Cenarth Falls is a cascade of waterfalls just upstream of the road bridge in the village of Cenarth in Ceredigion, bordering Carmarthenshire and Pembrokeshire, Wales. Lampeter (Welsh: Llanbedr Pont Steffan or, more informally, Llambed) is a town in Ceredigion, South West Wales, lying at the confluence of the River Teifi and the Afon Dulas. It is the third largest urban area in Ceredigion after Aberystwyth and Cardigan. Cardigan Castle (Welsh: Castell Aberteifi) is a castle overlooking the River Teifi in Cardigan, Ceredigion, Wales. It is a Grade I listed building. The castle dates from the late 11th-century, though was rebuilt in 1244. Castle Green House was built inside the castle walls in the early 1800s. After falling into disrepair the castle was restored in the early 2000s and opened to the public in 2015. It is owned by Ceredigion County Council and now includes a heritage centre and open-air concert facilities. Rome2rio makes travelling from Aberystwyth to Synod Inn easy. Rome2rio is a door-to-door travel information and booking engine, helping you get to and from any location in the world. 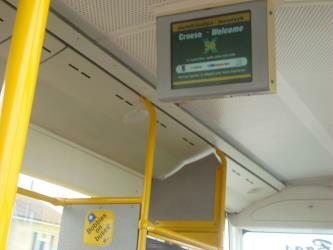 Find all the transport options for your trip from Aberystwyth to Synod Inn right here. Rome2rio displays up to date schedules, route maps, journey times and estimated fares from relevant transport operators, ensuring you can make an informed decision about which option will suit you best. Rome2rio also offers online bookings for selected operators, making reservations easy and straightforward.